with our good Friend Jim Bucksot of BuckRidge Beagles !! Thanks Silas ! It was a Fun Weekend ! mooredog wrote: Thanks Silas ! It was a Fun Weekend ! I would love to attend it next year, I really believe that good conformation plays a huge part in our hounds being able to hold up to all the punishment that they go thru running day after day. two caint say many have done that before!!! Thanks TC ! wish you were there to see it ! FUN FUN TIME ! I just happen to click on this Winder, seen these mighty good looking hounds! Strange that there has not been more interest in these Magnificently Breed hounds! I know it's been about 5 years, but made me think back a long time ago, when a young man here in Ga. by the name of Joe Hester bought a fine breed hound, that I breed and was Gun hunting this female, never thought anything about her being in a bench show.. This young man, Joe Hester came up to Va. I was thinking and ran the female "Daddy Rabbit's Carla" He was an excellent, Hounds man, and for his age had lots of knowledge with Gun dogs. Was just wondering if anyone happens, to know this Fellow Joe Hester, from Ga. ? How are you there Old Timer? Hope all is well with you and your hounds. 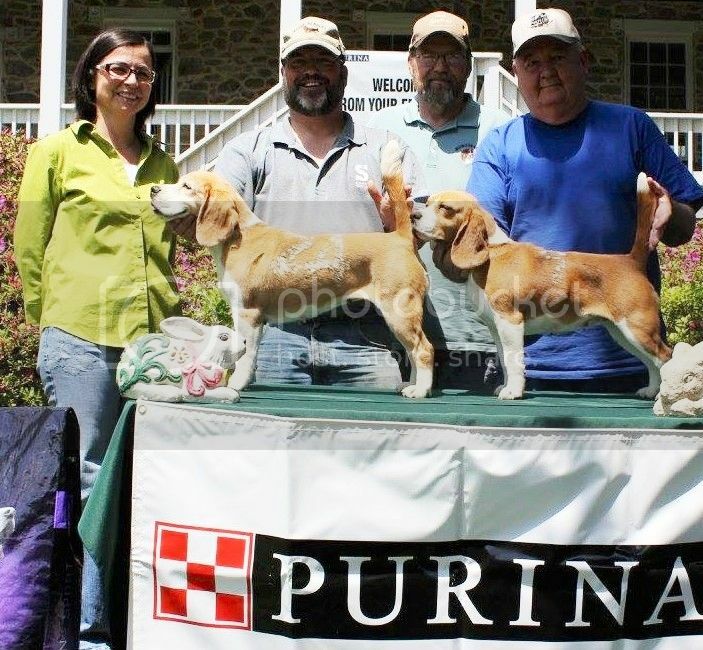 In 2006 I went up to the National Beagle club in Aldie,Virginia to participate in their Triple Challenge weekend. I met Joe Hester and his wife Courtney and I believe this was their first time at this hunt as it was mine. I see in the Better Beagling magazine that Joe organizes a hunt every January down there in Georgia called The Southern Classic Pack Trial that is held at the Beaux Eden Plantation in Fort Valley,Ga. They run two seperate classes at this hunt. A 3 couple [6 dogs ] and a 5 couple [10 dogs ] class. Joe Hester now keeps a formal pack of beagles registered with the National Beagle Club. He lives in Fort Valley. So glad that Someone is Still Around that knew my Friend Joe Hester, nice kid. I sold him the D.R.Carrla female that he once ran up there at the challenge. Glad to hear that he and his family are still working with the hounds.. Thanks for your information, on this most Prestigious Event.